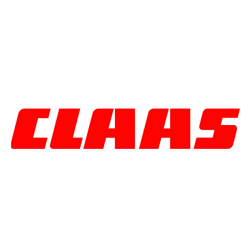 Claas Tractors are arguably the top combine harvester manufacturer in the world, their range of products also extends to other agricultural machinery such as tractors and forage harvesters. Viezu is able to offer a range of engine remaps and ECU tunes for the majority of the Claas range. Viezu has developed a range of Claas engine remapping and Claas ECU tuning services that cover almost all Claas vehicles. All of the Claas tuning we provide is custom written, meaning it can be tailor made to suit your needs. A Claas engine remap from Viezu can improve the vehicle in a number of ways depending on which type of ECU remap you choose. A performance remap will improve the overall power and torque, as well as the driveability and throttle response. An economy remap is a little different, choosing an economy remap will see an increase fuel economy and fuel efficiency from the vehicle. Claas tuning is typically carried out quickly and efficiently through use of the vehicle’s OBD port, this means a remap can be installed in as little as 45 minutes. All of the remaps and Claas tuning produced by Viezu can be tailored to your exact needs, whether you need all out performance, or an economy remap offering fuel saving. All Claas tuning and remapping work comes with Viezu’s no quibble money back guarantee and full underwritten insurance. Viezu Claas Tuning is developed in house by our team of ECU software and remapping experts on an environmentally controlled rolling road which can be used to extensively test engine remaps for many thousands of miles both in simulated and real life conditions. Viezu has performance and economy engine remaps for the majority of the modern Claas range, including the Claas Ares 547, Arion 430, Jaguar 830 and the Tucano 430.